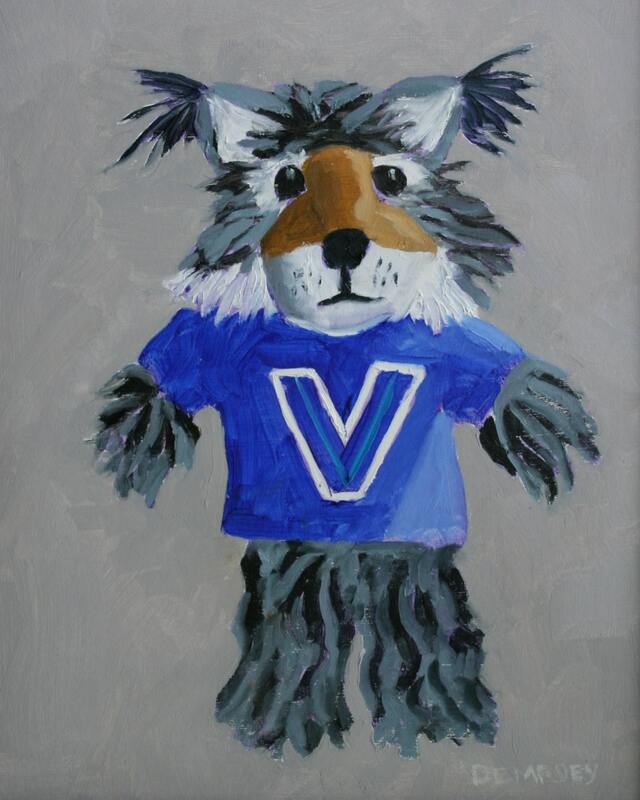 The ferocious Villanova Wildcat (actually, I thought of painting the mascot who appears at games, but that cat is pretty scary looking). Villanova may be a small school, but it has tons of spirit. The original is a gift for a member of the class of 2019, however I can offer a print of this painting. The print is ten inches high by eight inches wide. It is matted, and so the total dimensions are fourteen inches high by eleven inches wide. Love this print. Seller responded quickly to questions and the print was packed well and shipped fast. It's wonderful - thank you!